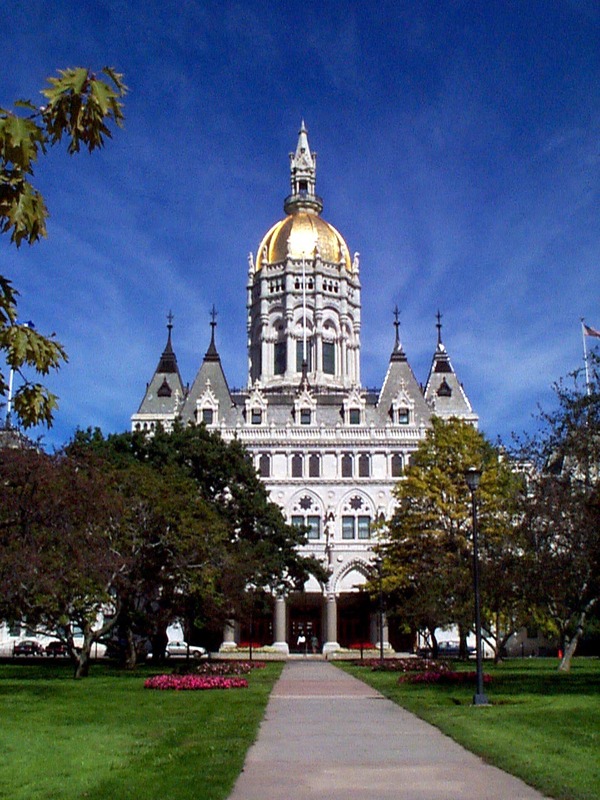 The General Assembly violated its own rules by spending leftover money at the end of the fiscal year, overspent on electricity and provided an $84-per-visitor subsidy to the Old State House, according to auditors. The Auditors of Public Accounts found the Joint Committee on Legislative Management, which is responsible for the financial affairs of the General Assembly, overspent on electricity and pre-purchased postage for the next fiscal year instead of returning leftover money to the state treasury. In their report, auditors said the committee spends more than it takes in operating the Old State House under a 99-year lease with the city of Hartford. In particular, the person paid to collect tickets earns more than total annual ticket sales. The auditors recommended the committee consider removing admission fees and expand opportunities to rent the facility. The Old State House generated $110,424 in revenue, but had expenses of $871,129, which works out to a per-visitor subsidy of $84. The state requires agencies to return unspent money at the end of the year. The legislature failed to obey this rule when it pre-paid future postage expenses. The General Assembly had “unusual fluctuations” in its postage expenses, making four purchases totaling $910,000 intended for eventual district-wide mailings, the auditors said. The agency said that there was an overstatement of postage expenses because the purchases were made in advance, as they anticipate budgetary constraints next year. Auditors said the legislature overspent on electricity and the agency should find better prices from suppliers. The auditors said the General Assembly would save a total of $265,482 in a year if it qualified for the lowest rate available in February. The agency stated that the Office of Policy and Management and Department of Administrative Services negotiated the price on their behalf and after contract has expired, they may consider buying directly from suppliers and create a shorter contract. When the contract was made, the rate was competitive, according to the Assembly, and it will continue to decrease the amount of power used to save money. In addition, auditors found that the Latino and Puerto Rican Affairs Commission reserved a venue for a ceremony but cancelled the event, losing the $1,000 deposit. Caitlin Landers is a journalism intern at the Yankee Institute. She is a rising junior at Syracuse University studying broadcast digital journalism and international relations. She lives in Manchester. Are the rules there for the purpose of establishing guidelines for the legislature or are they there to placate the public into assuming that government conducts itself within the established boundaries? It’s fascinating to see how things are unfolding subsequent to the largest tax increase in state history as a fairly sizable deficit looms. My bet is that the burden of this will be borne 100% by the taxpayers…. and it’s examples like this that illustrate quite clearly the fact that our state government, like the federal government has ZERO intention of operating within its means. They will squeeze the taxpayer completely dry if we let them.